Winter time is here again, and it is time to prepare your students for the cold weather! One of the best ways to be prepared for the weather is to know what type of clothing to wear to stay warm. This winter clothing lesson is a great start to a wonderful winter unit! Begin the lesson by telling the students that a new season has begun. Ask them if they can name the season we are now in. If the students are unable to tell you, give them hints that it is the season where there is snow, ice, and cold temperatures. This may help them tell you that it is winter. If not, explain the season to them. 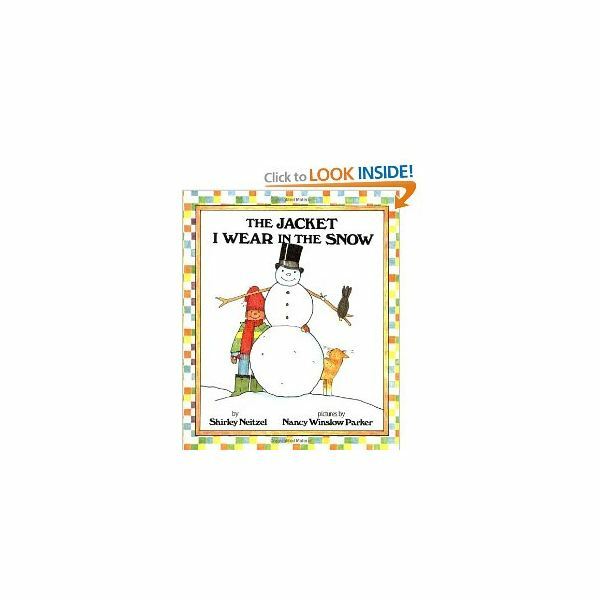 Tell the students that they will be learning about what types of clothing we wear in the winter. • What did the boy wear on his head in the snow? • What did the boy wear on his neck in the snow? • Why would you dress this way in the snow? Next, draw a large person on the board. Have several pieces of clothing cut out of construction paper ready. One by one, ask the students to come up to the board. Hand them a piece of clothing. If it is clothing they would wear in the winter, they will place it on the person in the correct place. If it is something they would not wear in the winter, have them place it in a bucket on the floor. This is a great guided practice activity to make sure the students understand the concept. Now it's time for a game of dress-up! Put the students into groups of four. Have each group go through a large pile of clothing from all seasons and choose an appropriate winter outfit. This tests your students' mastery of the subject as well gives them practice with working as a team. Once all the teams are finished, choose a model from each team to wear the chosen outfit. Then have each group come up to "model" their outfit. This is a great time to ask them why they chose the clothing they did. Lastly, it is time for a fun art project that helps improve your students' fine motor skills. Give each student two large pieces of construction paper that have been cut to resemble mittens and a piece of yarn. Also, have holes punched all around the top and sides. Have the students lace up their mittens by weaving the yarn in and out of the holes. Not only will the students love lacing up their mittens, but they can also then carry any papers or small toys they may have home inside them. While the students are working on their mitten craft, read The Mitten by Jan Brett. This will flow nicely with the activity and open up doors to endless possibilities to accompany the story.